The Camp Chunky chalk is a sizeable bag of the good old climbing white stuff. 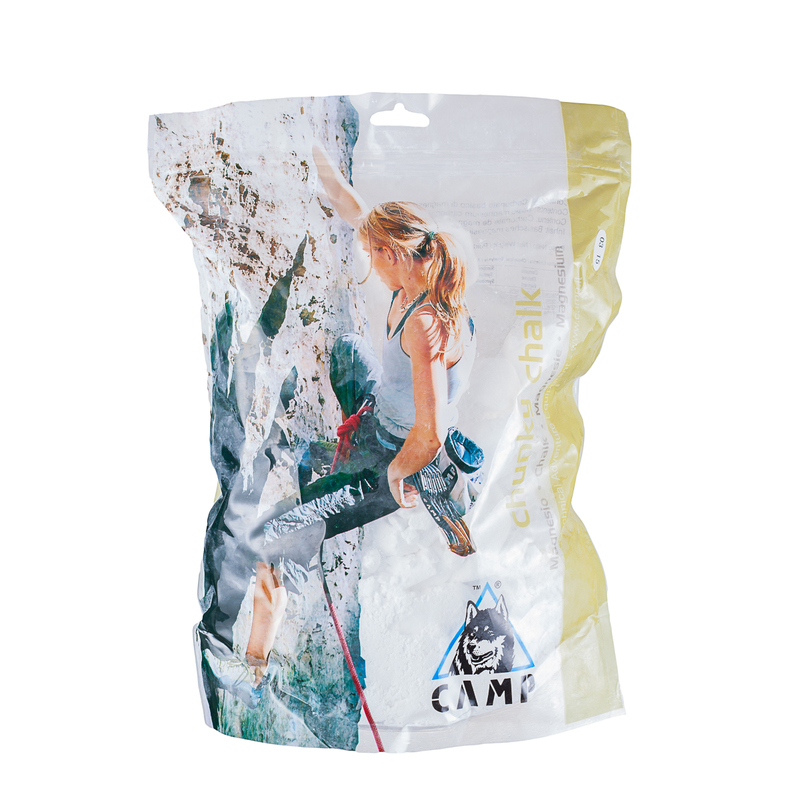 The Camp Chunky Chalk really is what it says on the tin, or rather, bag, and is great for those budding gymnasts, as well as beginner to the more expert rock climbers. This bone dry, super-pure chalk is not in just any bag either; you can reseal the bag meaning it is great on the go, and for topping up you chalk bag as and when you need to.